In four minutes your face will change! A real anti-ageing solution alternative to botox! Offering instant results, IMMEDIATE LIFTING achieved in each treatment. In one treatment this will smooth the skin, eliminates superficial wrinkles and reduces deep wrinkles. It also offers lasting effect, giving intense collagen stimulation, elastin and dermis regeneration along with improving skin texture and quality. A single 4 minute session will provide a youthful radiance with visible changes to the fine lines and wrinkles. 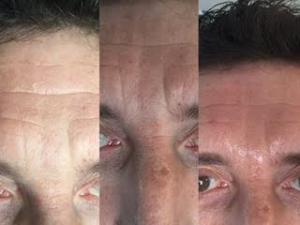 To continue with this rejuvenation process, it is recommended to have a course of 6 treatments in close succession in order to optimise results. 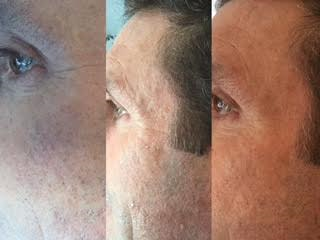 Before and after 3 treatments. 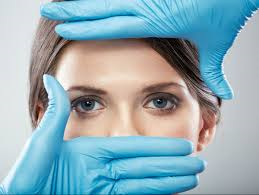 *Using 21st century science and technology giving the safest healthiest chance to look and feel brighter and clearer. Cryo cool lift with microdermabrasion. Whilst the cool lift is plumping lines, microdermabrasion will leave you skin fresh and polished. leaving you with a super glow and ready to face the world!